As Chobham welcomed the high flying Brighton to Fowlers Wells you could have been forgiven for thinking that the game had the potential to become a bit of a cake walk for the visitors. However, after a string of incredibly encouraging performances from the Surrey men, the squad knew that they could definitely mix it with their visitors and were even capable of causing one of the season’s biggest upsets. The return fixture earlier this season was probably Chobham’s best performance of this campaign. Although they didn’t manage to secure the win, they had looked every bit the better side for long periods of the game and only lost their winning position in around the 75th minute. An excruciating loss but one that was fuelling the Chobham squad’s confidence for the this game. The first half was incredibly even with Brighton probably just edging the territory battle but Chobham (again for long periods) were defending superbly and resolutely. However, they allowed Brighton to cross for 2 disappointing scores through attacking incredibly close to the breakdown which Chobham had discussed and warned each other about all week. Sadly, Brighton had shown the accuracy to turn their territory into 10 points at the break while Chobham hadn’t managed to trouble the Brighton try line nearly as convincingly. As the second half strrted thought, Chobham felt they were very much in the game. They began brightly in an attempt to avenge their habit of starting the second half of nearly every game incredibly poorly, all season. 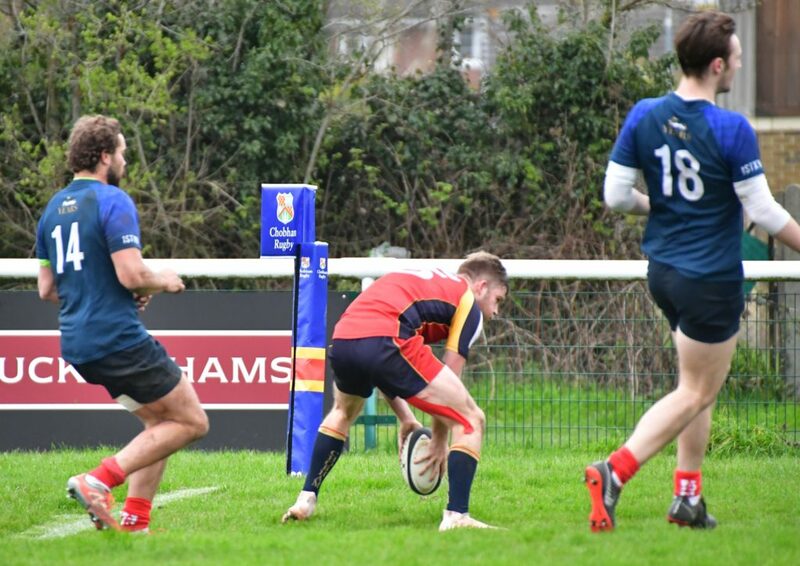 Despite the bright initial start, Brighton were soon crossing for two more unconverted tries to the disappointment of the Chobham squad and supporters. They showed a great deal of accuracy and a real clinical edge to their play whenever they were afforded opportunities by their hosts. Undeterred, the Surrey men fought back again and once more began to apply their pressure. 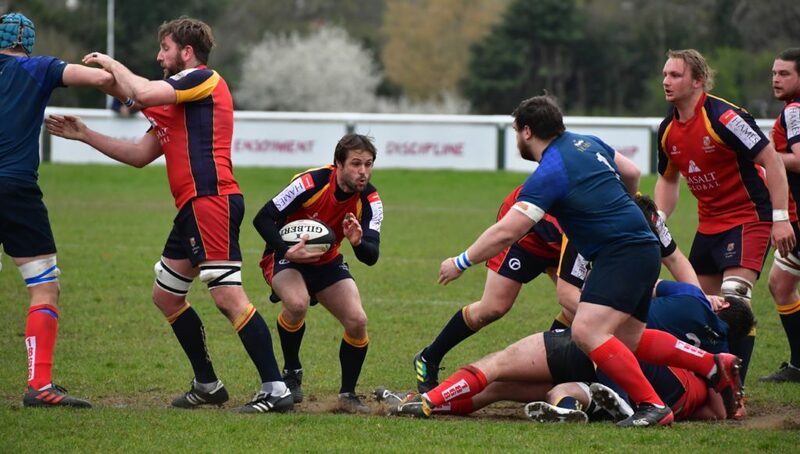 However, despite this change in momentum, Brighton were able to score their 5th try, this time converted, against the run of play and all of a sudden the scoreline read 0-27 and the game was out of Chobham’s grasp completely. Chobham rallied however and soon were able to turn their own pressure into points. With their first try by full back Lawrence Elliott and the second from James Buchanan following a sumptuous offload from scrum half Ian Barnes. Both converted by fly half Clarke and the scoreboard all of a sudden read 14-32. 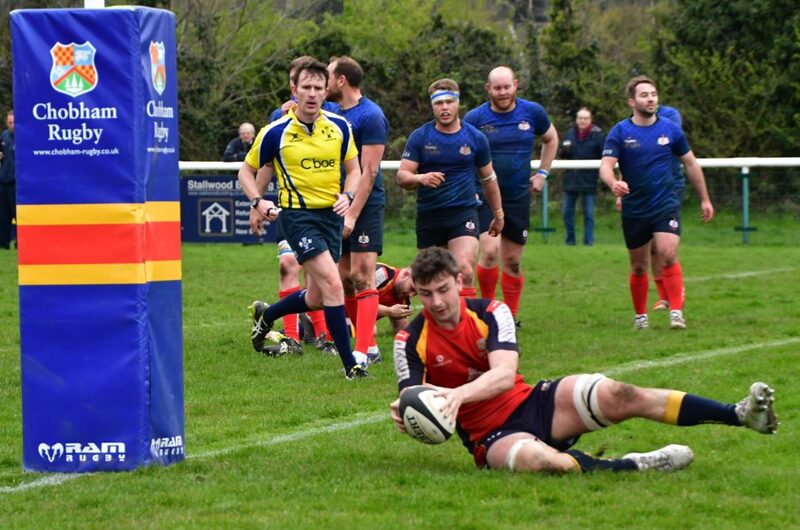 Chobham were now on the hunt for a losing bonus point to give their supporters something tangible to celebrate. As they threw the proverbial kitchen sink at their visitors however, Brighton were able to capitalise for one last converted score of their own. Despite Chobham’s efforts they could only secure one more try of their own which was an incredible solo effort from full back Elliot. 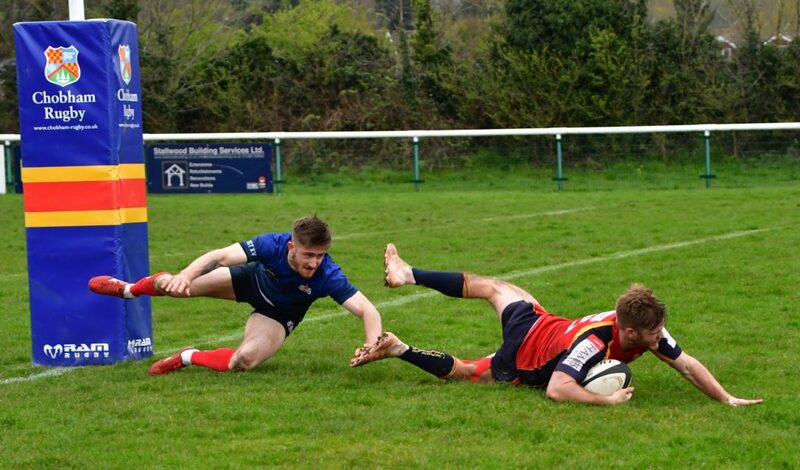 With the final score of 21-39 it was clear which side are still in the hunt for promotion whilst the other sadly will be playing their rugby in London 2 South West next season despite their best efforts. With just one more league game to go Chobham will be hoping to finish the season with a convincing win against last place Hove. 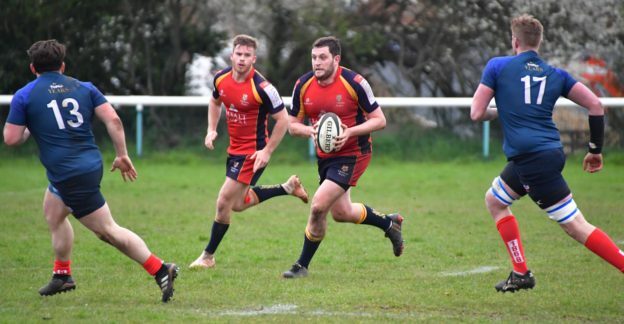 Man of the match was awarded to back Tommy Reed who stepped in to play out of position from the wing to the centre and looked comfortable and assured all afternoon whilst also challenging the Brighton defences in the wide channels.